In the decades following the work by physiologist Ivan Pavlov and his famous salivating dogs, scientists have discovered how molecules and cells in the brain learn to associate two stimuli, like Pavlov's bell and the resulting food. What they haven't been able to study is how whole groups of neurons work together to form that association. Now, Stanford University researchers have observed how large groups of neurons in the brain both learn and unlearn a new association. "It's been over 100 years since Pavlov did his amazing work but we still haven't had a glimpse of how neural ensembles encode a long-term memory," said Mark Schnitzer, associate professor of biology and applied physics, who led the research. "This was an opportunity to examine that." The researchers worked with mice and focused on the amygdala, a part of the brain known to be involved in learning that is extremely similar across species. They taught mice to associate a tone with a mild shock and found that, once the mice learned the association, the pattern of neurons that activated in response to tone alone resembled the pattern that activated in response to the shock. Using Pavlov's dogs as an analogy, this would mean that, as the dogs learned to associate the bell with the food, the neural network activation in their amygdalas would look similar whether they were presented with food or just heard the bell. The researchers' results, published in Nature on March 22, also reveal that the neurons never returned to their original state, even after the training was undone. Although this was not the main focus of the study, this research could have wide-ranging implications for studying emotional memory disorders, such as post-traumatic stress disorder (PTSD). "You can think of this type of learning as a survival strategy," said Benjamin Grewe, lead author of the paper and former postdoctoral scholar in the Schnitzer lab. "We need that as humans, animals need that. When we associate certain stimuli with their possible dangerous outcomes, it helps us to avoid dangerous situations in the first place." 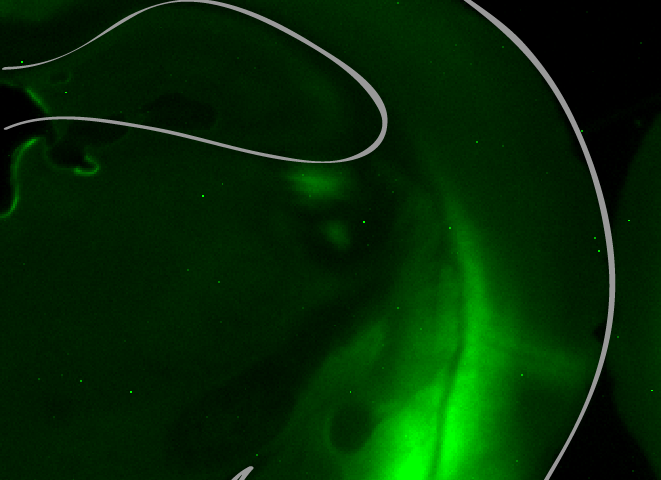 During the training, the researchers directly observed the activity of about 200 neurons in the amygdala. Using a miniature microscope - developed previously by the Schnitzer lab - to view neurons deep in the brain, they could observe activity of individual cells as well as of the entire ensemble. What they found was that, as the mice learned to associate the tone with the shock, the set of cells that responded to the tone began to resemble those that responded to the shock itself. "The two stimuli are both eliciting fear responses," said Schnitzer, who is also a Howard Hughes Medical Institute investigator. "It's almost as if this part of the brain is blurring the lines between the two, in the sense that it's using the same cells to encode them." "We managed, for the first time, to record the activity of a large network of neurons in the amygdala and did that with single cell resolution," Grewe said. "So we knew what every single cell was doing." "We're just beginning this work," Schnitzer said, "but these findings give us a window into how the external world may be annotated for us in this brain structure." All calcium imaging experiments in freely behaving mice were carried out using the Inscopix nVista miniature fluorescence microscope platform.